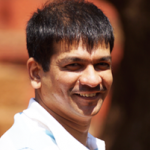 This blog is paraphrase of my keynote presentation in November at UX India 2016. UX impact on a product is as much as the talent that works on the design. In other words, the quality of the product is directly proportionate to the quality of the talent driving the design initiative. A good UX designer should have a mix of technical and soft skills. It means the ability to understand the stakeholder and users needs, ability to create informed designs, effective stakeholder management, and an output that brings in real ROI for the organization. Idealistic so far? 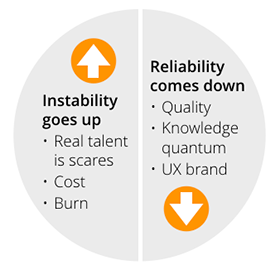 The UX talent reality is far from this ideal owing to several reasons. 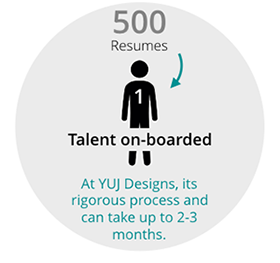 UX talent is in extreme short supply and the demand is growing. This demand-supply gap is not good for the UX community, neither for the organizations wanting to get UX done. This short supply means several things. Organizations are competing to hire from a limited pool of UX talent, and end up paying a lot more to onboard sub-optimal talent. This results in more burn (budget and time) to set UX right – process, team, projects, and conversion. In other words, instability going up and reliability going down. There are a very few UX designers who truly get to practice User Centered Design the way it needs to be. The primary reason lies in the fact that in most organizations, the reporting managers or decision makers themselves have weak or no knowledge of Experience Design practices. They usually are not seen standing up for customer needs, or the scientific practice behind UX design, and it’s impact on client business (ROI). Most designers hence end up being responsible for making screens look pretty. If you feel UX is about creating wireframes and screen flows – than you are on path of extinction. 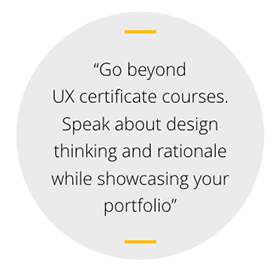 Businesses need direct UX return on investments and design strategy that takes them further. Businesses are looking for trail blazers that demonstrate design leadership, thought leaders who are excellent debaters, who do system level thinking (end to end touch points), question the obvious, ask questions, rationalise design decisions, and make decisions. This is over and above the ability to drive UX methodology, process and apply human psychology to design. 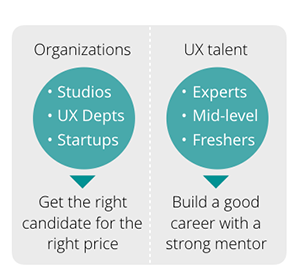 The UX talent gap may just widen further. Technology is evolving and trends are changing faster. Businesses need high impact experiences that are multi-device and multi-channel. AI bots, virtual reality and augmented reality based approaches are waiting to be explored with meaningful business impact. Voice, touch free solutions are few others where design is yet to catch up. How to reduce this worry? Few things industry should look for while recruiting UX talent. See if the candidate is someone who tells a success story of how their designs added true value for the users and the business. In other words, check if they are able to talk about the business problem they had at hand and the design solution they applied. Design is no more page level UI design. Elicit examples of how they anchored design engagements, discussions and debates on design with teams and customers. It should be about design thinking – not wireframes. Look for some softer aspect as well. Are they good listeners? Not all statements need immediate response – do they think and respond. Watch if they ask questions – deeper probing questions. Moreover should show questioning ability too (They could interview the interviewer). Are they open to criticism? Do they open up their designs for reviews, hard critic and debate? Check if candidate has the ability to see the macro and micro picture at all times. How are they on design management? Time and quality are both important. This blog is paraphrase of my keynote presentation in November at UX India 2016. It is 3 part series. In part 2, I will talk about “what UX talent should keep in mind while attending an interview”.